Yamaha have released images of their upcoming R25. This is a parallel twin built for the track as is made apparent due to the inclusion of a racing exhaust, and the exclusion of lights, indicators and mirrors. You receive 249cc’s a six speed gearbox and fuel injection. Looks very tasty indeed. From the blurb it seems that road going versions of the R25 will be created . 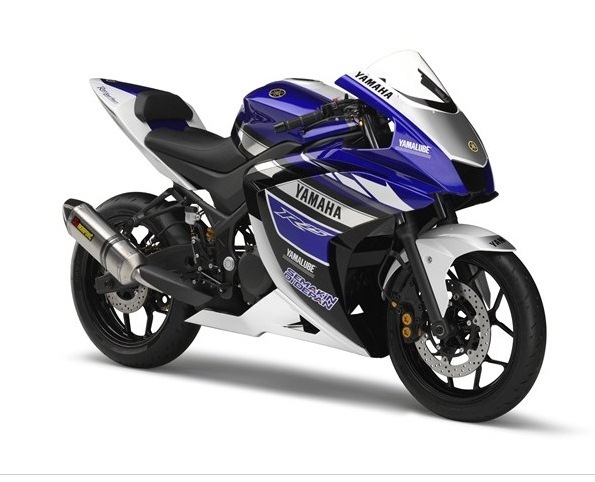 So if you’re 16 and a fan of Yamaha (why wouldn’t you be?) then this could be your next motorcycle, with a little help from the folks. Power, weight and prices TBA.